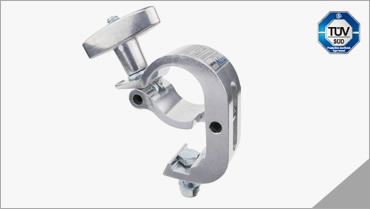 Handcuff Clamp is constructed from high tensile 6061 aluminum extrusion. 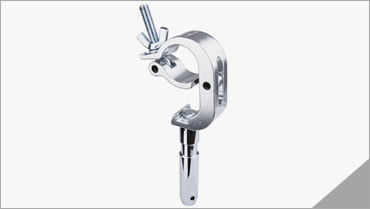 It is one of the most popular rigging hardware in the industry. 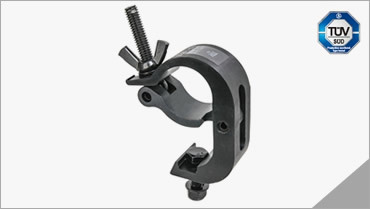 Thanks to triggering mechanical design, this clamp is made to help the person rig heavy luminaries with less effort and saving much working time. 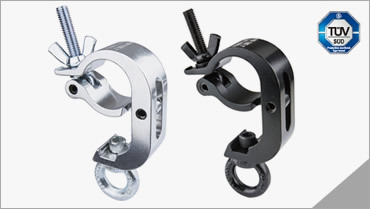 TUV certified for both standard and slim profiles. Work safely. 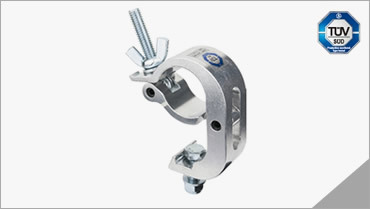 TUV approval with SWL 200kgs. 1. 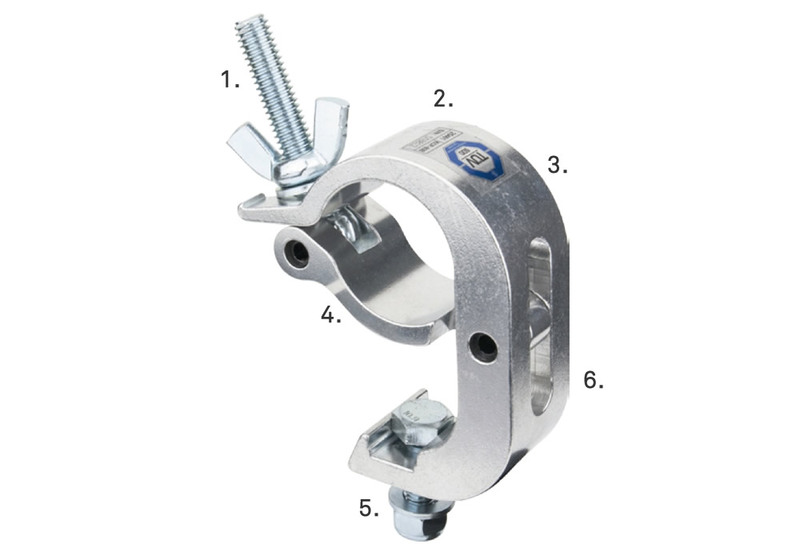 "CAPTIVE", on top of thread bolt to avoid wing nut falling off the clamp in the air. 2. 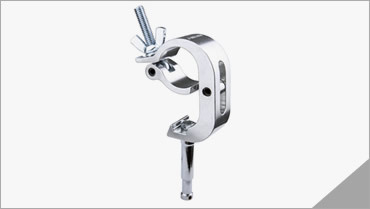 Save time and effort in ringging fixture. 3. 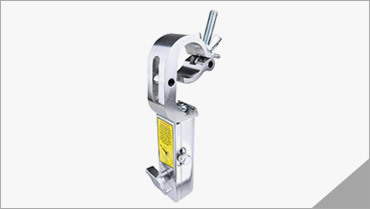 TUV certified Standard type for SWL 200 kgs Slim type for SWL 100 kgs. 4. 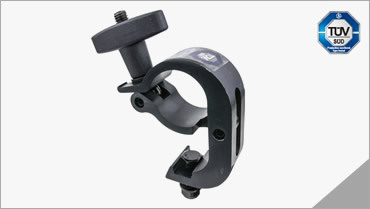 Design for Dia 48-51 mm tube system. 5. Double level’s counter sunk for M10 or M12 hex. 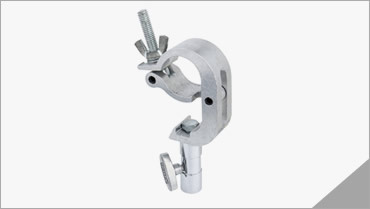 head bolt. 6. Polish and black finish are available.